Making a donation to Friends of Israel Disabled Veterans-Beit Halochem is a meaningful way to honor or to remember someone special. 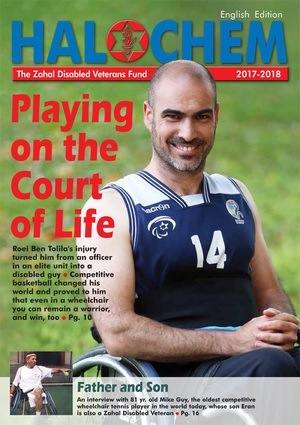 Your gift reflects your desire to make a lasting impact on the lives of disabled Israel veterans and victims of terror attacks. We thank you for your gift in honor of a special person or occasion, or in the memory of a loved one. Israel Bonds and stock donations. Please check to see if your company has a Matching Gift program. FIDV Planned Giving Program: We are pleased to be able to offer you a new, comprehensive range of planned giving options. Please contact Ella Levine for stock, bond and planned giving. Telephone: 212-689-3220.